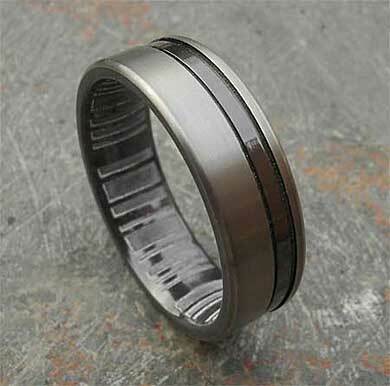 Wedding Ring With Two Tone Finish : LOVE2HAVE in the UK! 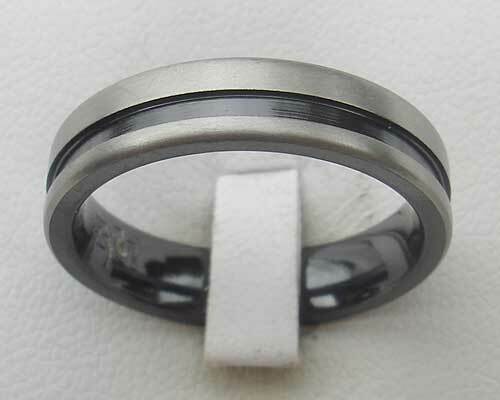 A men's wedding ring should always be designed to be worn for a long time and that Its looks won't date. 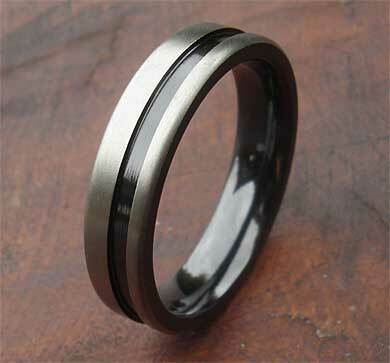 This particular two-tone men's wedding ring is unique with its matte finished zirconium and a polished black recessed grooved rail, very urban in appearance indeed. The groove is offset from the centre and sits towards one edge of the ring and does so for all of the various widths available which range from 5mm all the way up to 12mm. Please note the inside barcode engraving does not come as standard and we have it pictured here in a 5mm and a 7mm width.